Good. Weight Watchers know that losing weight is all about balance and variety and this cookbook reflects that trend. 444 p. Contains: Illustrations. Weight Watchers (Wiley Publishing). Fine. 002863716X Ships from Tennessee, usually the same or next day. The book requires a lot of reading at first but then goes through the Weight Watchers program step by step. Get this bood but only if you are really serious about losing those extra pounds you pack around with you every day, every hour. I ordered this cookbook as a Christmas gift for a friend. It arrived promptly and was in excellent condition. I am very please with the transaction and the product. I will recommend this seller to friends. This Cookbook works for anyone who wants a healthy diet. Not just for dieters. As a new WW client, I was confused about many foods and their PointsPlus values. This book shows values for each recipe. The recipes are tasty enough to be served to family and guests without them turning up noses to "diet food". You can't go wrong with this one! 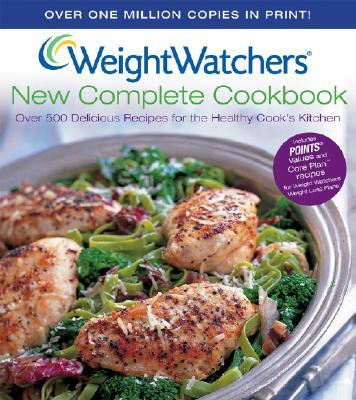 Great condition and this is a low cost way of purchasing Weight Watchers cookbooks.I will order more.